We took a cab up to the town of St. George’s today to take a tour of one of the few British Fort on the island that I haven’t seen… Fort St. Catherine. 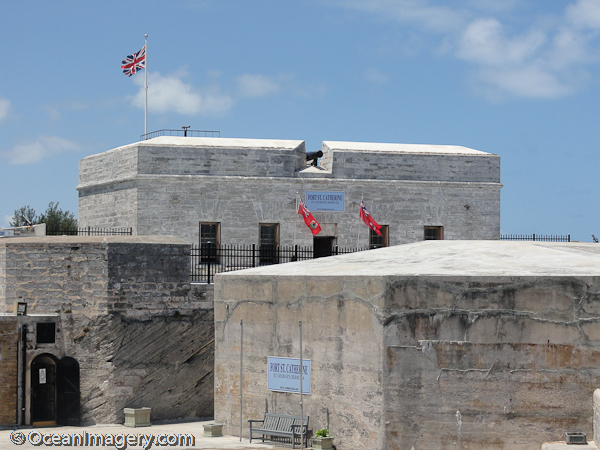 The Fort was originally built in 1614 and is not only the oldest fort on the island, but is one of the biggest as well. It was first built by Governor Richard Moore to defend Gates Bay where the colonists landed. It has been built upon many times over the years and where it started out as a simple watch tower in the early 1600’s it is defiantly one of my favorite forts on the island to date! 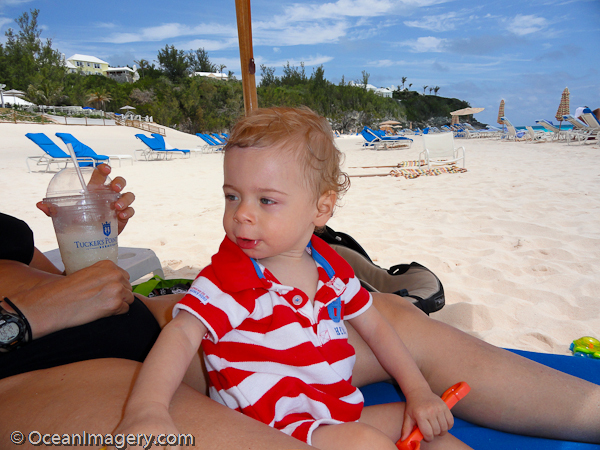 Our little Dylan eyeing Julie’s frozen margarita… the answer is NO! Spring time in Bermuda is always fantastic and this year would prove to be no different. One nice spin on this years early vacation would be the celebration of Dylan’s second trip to the Island. Now that he’s a little older and much more mobile, we will get to see how he reacts to the huge sand box known as the beach. The last time he was here he had a major fit every time Julie or I tried to put him down in the sand. Since then, Julie has spent a great deal of time working with him in the sand box at our local playground. Hey, he’s my son… he’s got to love the beach, right!! I’ll try to post some videos from the trip when time permits, but for now, we hope that the Lightbox photo gallery will hold you over… Enjoy! !